King Godred Crovan, also known as King Orry, and his son, the statesman King Olaf, are pictured here in their new location in the Old Courthouse grounds in Parliament Street in Ramsey. The image was captured on my Sony HX20V camera, resized, cropped and converted into black and white in Adobe Photoshop Creative Cloud. Is this the same King Orry as in King Orry’s Grave in Laxey? 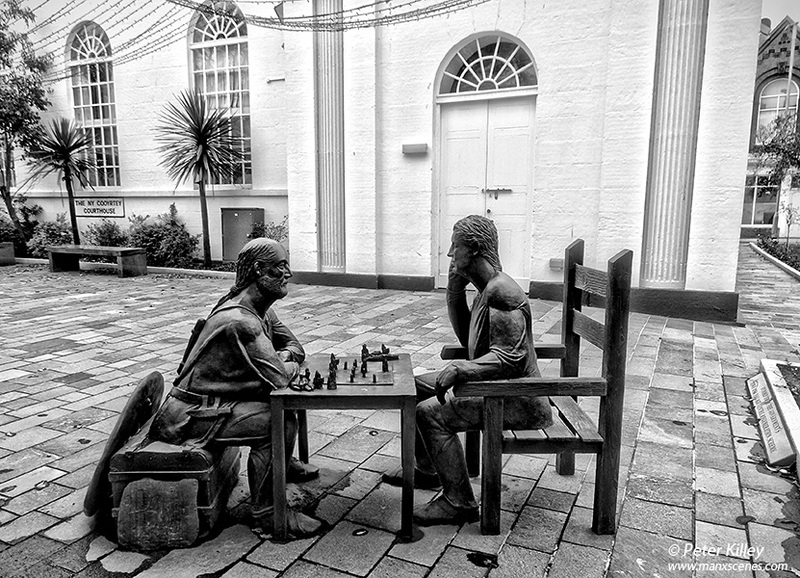 If so, what is the significance of them playng chess?